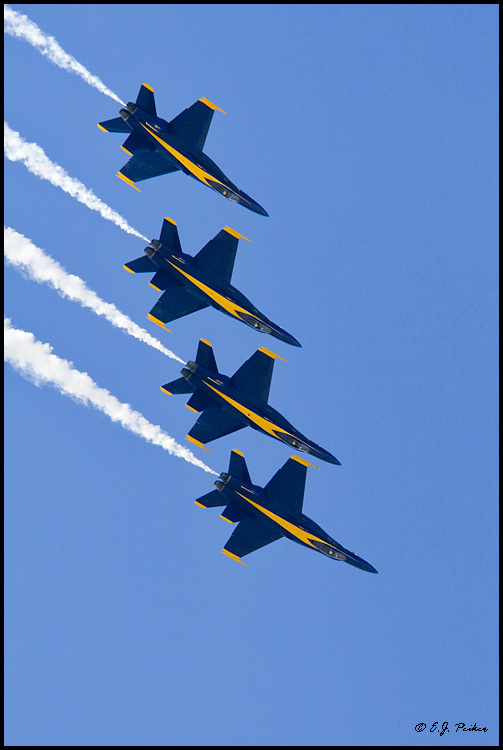 The Blue Angels are familiar characters in the US. They are an elite bunch that appear at special times of the year to fly in formation and wow the crowds with their wondrous feats. Moscow has its own version. I call them the White Angels. This fleet, too, shows up at special times of the year to maneuver in formation and do wondrous feats. The special time is when it snows. The Angles are the fleet of equipment that work in concert to, very efficiently, remove tons of the white stuff that falls out of the sky. Watching them clear a wide street in Moscow's downtown is a something to behold (if there is a "little boy" inside you that enjoys watching construction-type equipment). Just like the Blue Angels, the White Angel snow plowers trail each other in a forty-five degree angle formation, with the lead plow dumping snow on the second plow and the second plow dumping snow on the third and so forth. After the main formation passes by, three specialized vehicles follow them. The first dutifully sprays salt and gravel on the road. The second diligently scoops up the snow, now piled up on the right hand side of the street, and carries it up high on a conveyor belt. The third, a dump truck, catches the falling snow in its load bay to clear it off the street. And just like that, Moscow's streets are cleared in a matter of minutes, thanks to its White Angels.